Tuesday, November 7, 2017 6:00 p.m. – 9:00 p.m.
Lecture and Q&A with New York Times best-selling author and Buffalo native Catherine Pelonero is hosted by SUNY Buffalo State Archives & Special Collections Charles Rand Penney Speaker Series in association with Canisius College Rev. J. Clayton Murray, S.J. Archives & Special Collections Archives Speaker Series. 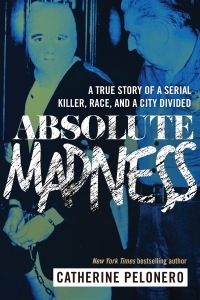 ABSOLUTE MADNESS is the true story of Buffalo’s Joseph Christopher. Known as both the .22 Caliber Killer and the Midtown Slasher, Christopher targeted black males in a killing spree that began in Buffalo in September 1980 and sparked one of the most intense investigations in local history. Ms. Pelonero will share how her research into several Buffalo archives unfolded the Christopher story and revealed haunting facts that still scar Buffalo. Free parking at the Burchfield. Open to the public.